Home Seller FAQ: What are the Top Home Renovations for Resale? 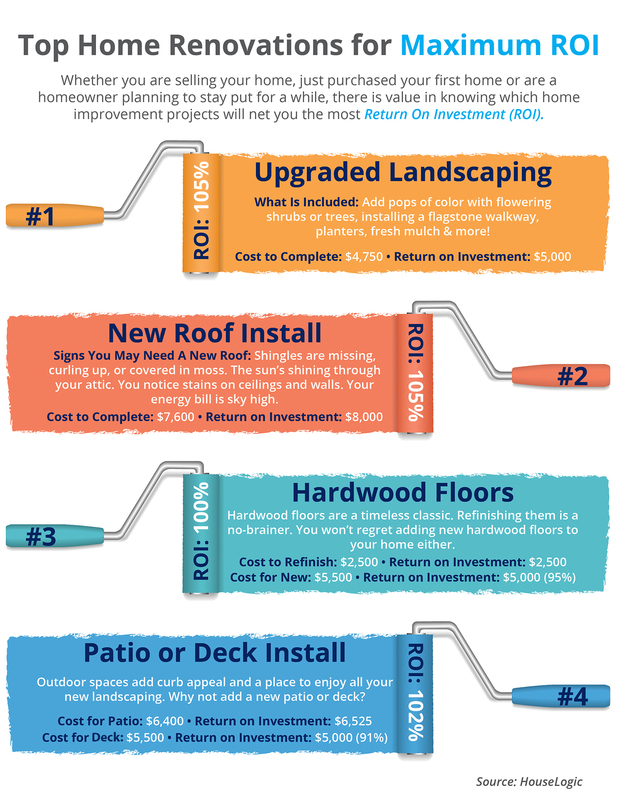 Whether you are selling a your home, just purchased your first home, or a homeowner planning to stay put for a while, there is value in knowing which home improvements projects will net you the most ROI (return on investment). The Top 4 include landscaping, new roof, hardwood floors, patio or deck installation.